Rumour has it that a CD featuring a photograph of Mani Shankar Aiyar welcoming President Mahinda Rajapaksa to his daughter’s wedding, juxtaposed with alleged atrocities committed by the Sri Lankan government during wartime, was what led to the Indian politician’s defeat in his constituency Mayiladuthurai in Tamil Nadu in the 2009 elections. But in a political career spanning over two decades, India’s first Consul General to Karachi, Rajiv Gandhi’s former speech writer and India’s first Minister for Panchayat Raj, has learnt to take losing at the polls with good grace. Here to deliver a lecture on systems of local governance for the government and the Asia Foundation, Aiyar, once a career diplomat, has made a habit of maintaining good relations with a number of political leaders. However, it is his relationship with the late Prime Minister of India, Rajiv Gandhi, that he is best known for, not least because of the number of articles and books he has penned on his iconic subject. “The experience of working with him was so profound that I regard myself as a Rajivist,” he says. As if to confirm the fact our interview is interrupted by an international call from a journalist asking for a sound bite. The next day, August 20 would mark the 65th birth anniversary of the Indian premier, and Aiyar pays eloquent tribute in faultless Hindi. His cultured tones switch with ease from Hindi to English to Tamil, revealing his antecedents not only as a student of the Doon School, but as a Cambridge scholar as well as Mayiladuthurai’s representative to the Lok Sabha for 15 years. By the time he was finished with college, Aiyar had firmly established himself as something of a radical, joining the Marxist society. However, it was a bad time to have even the most tenuous connections with communism in India, especially if like Aiyar you were planning on sitting for the Civil Service exams. The Sino-Indian war which began in June that year was triggered by what was widely recognized as an unprovoked attack by the Chinese on the Indian borders, and the outcome was uncertain. A friend, thinking it a good joke, sent him a telegram that read “All good wishes for success in the Chinese administrative exam.” Though Aiyar did pass, opting for the Indian Foreign Service (IFS), his ambitions were overturned when Indian intelligence services denounced him as a member of the British Communist Party. He would spend 26 years in the Indian Foreign Service, included in which period was a very memorable stint as India’s first ever Consul General to Pakistan. From 1985, still in his capacity as a civil servant, Aiyar began to work with the man who had become the country’s youngest Prime Minister. 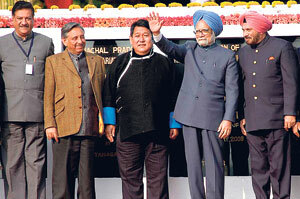 In 1989, he voluntarily resigned from the Foreign Service to make a political career with Rajiv. But Gandhi, mired in allegations of corruption post the Bofors Scam, would be dethroned. For the next year and a half, he continued to serve Gandhi, even writing some of his speeches. “In exile as it were, he would often refer Tamil leaders who came to visit him to me. K. Padmanabha and others saw me a week before they were massacred,” says Aiyar, referring to the 1990 assassination of the Scetary General of the Eelam People’s Liberation Front (EPRLF) along with 14 of his men in Chennai. “Then tragically, just as he was coming to campaign for me in 1991, 11 hours before he was due in my constituency, this woman Dhanu bent, apparently to touch his feet, blew herself up and blew him up as well.” That he was never able to build a political career under Gandhi has remained one of the “enduring regrets” of his life, but Aiyar will cheerfully concede that in recent years he has had “a hefty assist” from Gandhi’s widow and current head of the Indian National Congress, Mrs. Sonia Gandhi. Though the Congress swept the polls in 2009, Aiyar himself was forced to step down. At 68, he’s unsure of whether he will have the energy to campaign when the next election comes along in five years. 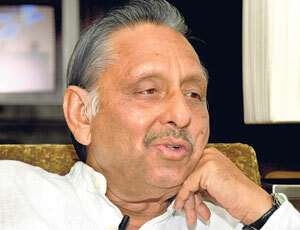 “I don’t think my political career is at an end,” he says, “again and again I’ve discovered that the political life is the most uncertain life of all…it is when you reach the top of the hill that your descent begins and only when you hit bottom that your ascent to the summit begins.” In the end, it is clear that Aiyar has enjoyed the view from the top, and has every intention of doing so again. Published in The Sunday Times, Sri Lanka on August 23, 2009. Words by Smriti Daniel.